A 3-year fixed rate is a middle-of-the-road term, offering both flexibility—for those who don’t want to be locked in to their mortgage for four or five years—and extra rate security when compared to a shorter term. When their rates are significantly lower than 5-year terms. Because they’re a compromise between the rate protection of a long-term mortgage and the potential interest savings of a short-term mortgage. Because they don’t expect to have a mortgage much longer than three years. Fixed rates can have higher penalties (versus variable rates) for early termination. About 1 in 14 borrowers select 3-year mortgages (source: Mortgage Professionals Canada). To get a 3-year term, lenders generally make you prove you can afford a payment based on at least the posted 5-year fixed rate (a.k.a. “benchmark rate”), which is established every Thursday by the Bank of Canada. If your mortgage is uninsured, you qualify on the greater of the benchmark rate or the contract rate plus two percentage points. 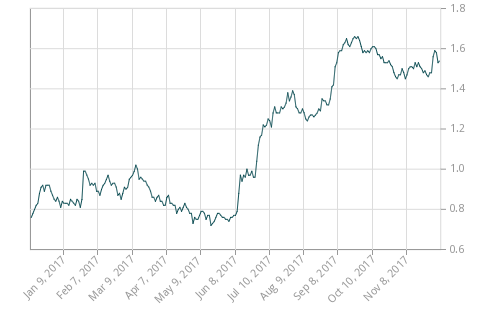 If you want to guesstimate where 3-year rates are headed short term, keep an eye on Canada’s 3-year government bond yield (below).